The National Assembly for Wales has powers to make laws, known as ‘Acts of the Assembly’. These may originate as a Public Bill introduced by the Welsh Government (usually following consultation on a White Paper), an Assembly Committee, an individual Assembly Member or the Assembly Commission. Law applicable to Wales in certain non-devolved areas continues to be made in Parliament. Progress of legislation as well as guidance about the legislative process is available on the National Assembly website and UK Parliament website. 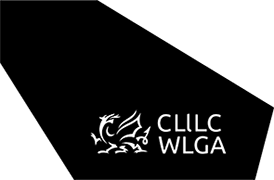 The Local Government (Wales) Act 2015 became law in Wales on 25 November 2015. The Public Health (Wales) Act 2017 became law in Wales on 3 July 2017. The Landfill Disposals Tax (Wales) Act 2017 became law in Wales on 7 September 2017. The Trade Union (Wales) Act 2017 became law in Wales on 7 September 2017. The Abolition of the Right to Buy and Associated Rights (Wales) Act 2018 became law in Wales on 24 January 2018.